In addition to its rich history, McLemore Cove and Lookout Mountain provides the greatest diversity of botanicals in North America, as well as abundant geological features. National park services, state park services, state wildlife management service and private land trusts are working to protect this geological and botanical treasure. The map below will aid in discovering some of our one of a kind gems, such as the deepest subterranean drop in the Continental United States, the largest canyon east of the Mississippi, a high concentration of large and accessible waterfalls, and ridgline trails with scenic overlooks. McLemore is a centrally-positioned hub to over 40,000 acres of conserved and protected wilderness area. 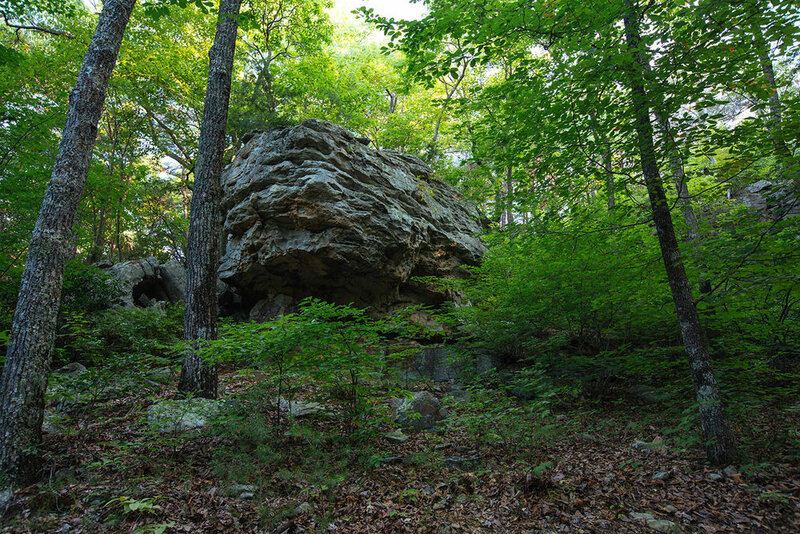 Surrounding McLemore are unique natural resources, as well as historical and archaeological sites, offering activities for all levels of interest and physical ability. The McLemore Cove area is considered one of the world’s richest cave regions and is dotted with unusual sandstone and limestone rock formations. The area is also home to one of the most remarkable botanical regions in North America, with uncommon plants that include bent trillium, nodding spurge, lance-leaf trillium, wild hyacinth, celandine poppy, log fern, and blue ash. The natural beauty found on Lookout Mountain, Pigeon Mountain and in McLemore Cove offer a virtually unlimited collection of outdoor activities. Visitors from all over the United States come to the area each year for its hiking trails, mountain biking, road cycling, horseback riding, rock climbing, bouldering, spelunking, fishing, hunting, hang gliding, and, of course, golf.